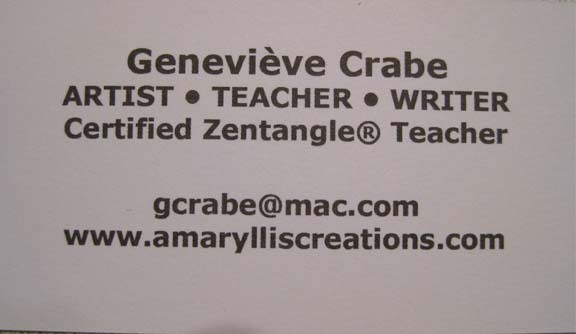 Geneviève Crabe sent the roundest Lilah Bean. I'm not sure what her material is, but it is very sturdy, with paper, fun foam, fancy yarn and a gem, all glued on. She is very sweet and loves to have her hair stroked - but don't try to comb it! She prefers the tousled look. 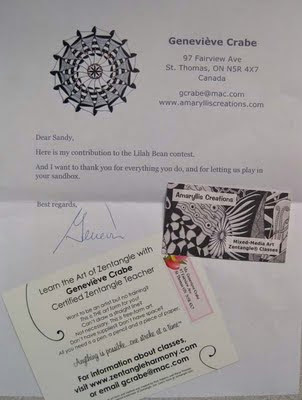 Geneviève also sent some really nice Zentangle promotional materials that she uses for her classes. She is a Certified Zentangle® Teacher in Ontario, Canada. 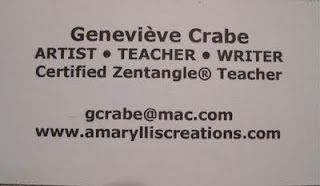 Visit her blog, Tangle Harmony, for lots of cool tangles and great links to videos and other Zentangle resources. Thanks for the kind words, Sandy. 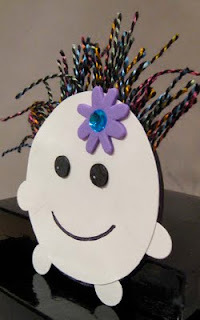 I had a lot of fun creating my Lilah Bean, and I'm having a blast looking at all the wonderful entries.